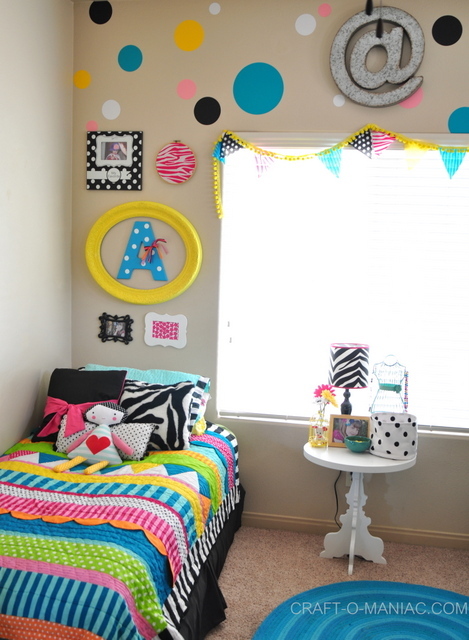 Hey friends, today I’m sharing some tweaks to my daughters bedroom “A Little Girls Colorful Bedroom!” The bedspread, the bed, and gallery walls have been shared before in another post, but the bed was positioned across the window. I pulled it away from the window and placed it to the left of it. 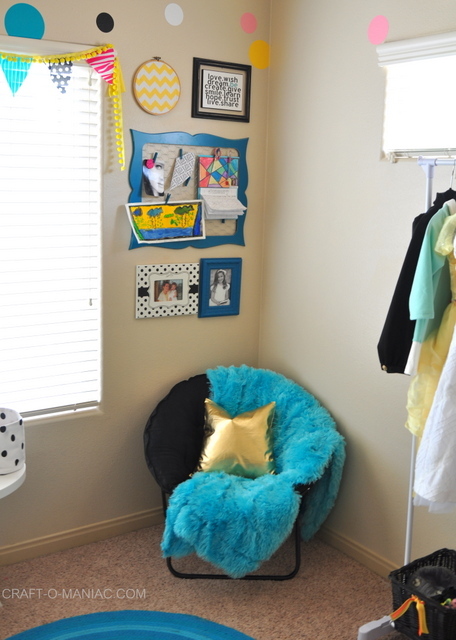 Which leads me to a “Full Bedroom Reveal Today” (minus her closet doors/closet). 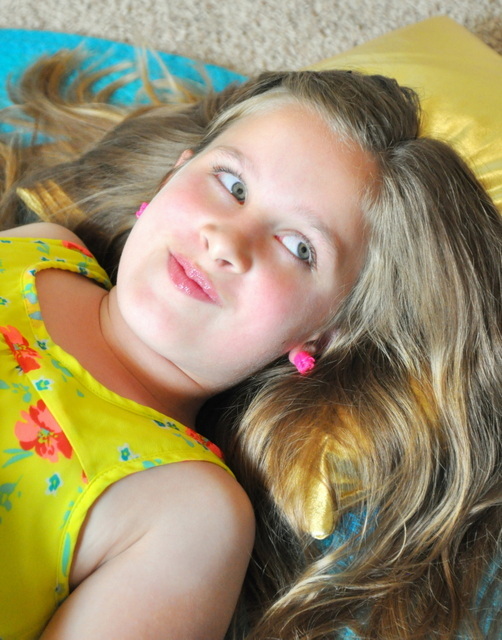 Her space is full of color and life just like her personality! Its girly, fun, a bit whimsical, and has all the touches that any girly girl (for reals, she knows how to roll in the mud too) would love. Vinyl colored polka dots- cut from my Cricut. 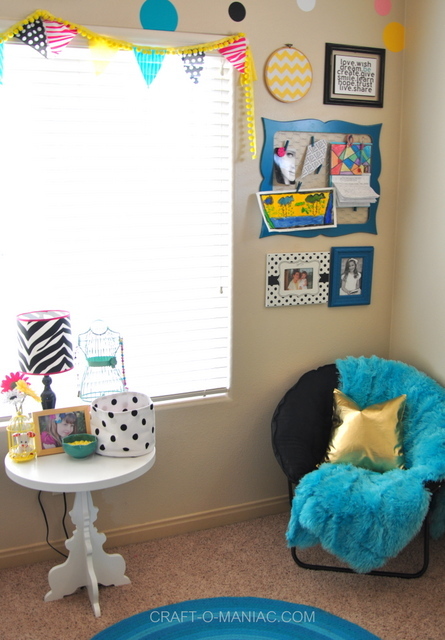 This room was fun to design and decorate, my favorite would have to be the “Make Ship DIY Vanity” that I created. 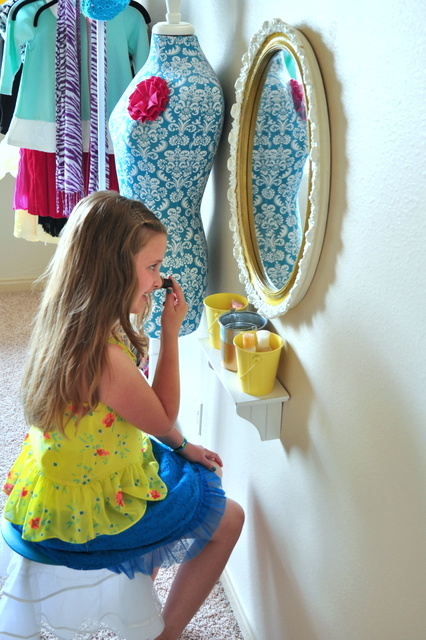 I simply took a mirror I thrifted a while back, a shelf I had, 3 metal buckets, and an IKEA chair, and black round pillow from Target and BOOM-“Instant Girly Girl Vanity!” I filled her buckets with some soft light makeup in one, lotion in another, and jewelry in the last. 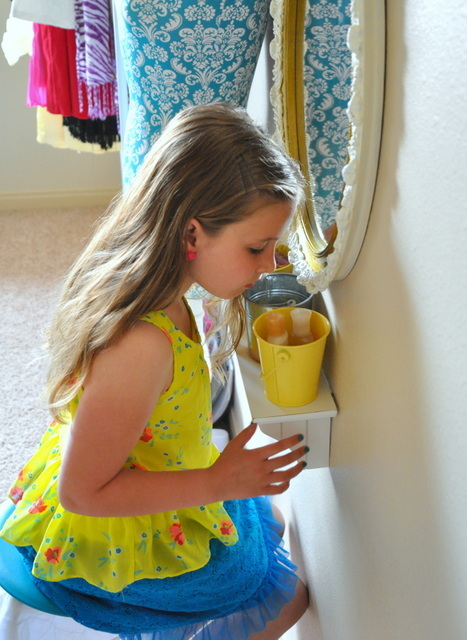 My daughter squealed over the vanity that happens to be right next to her girly clothing rack and mannequin. 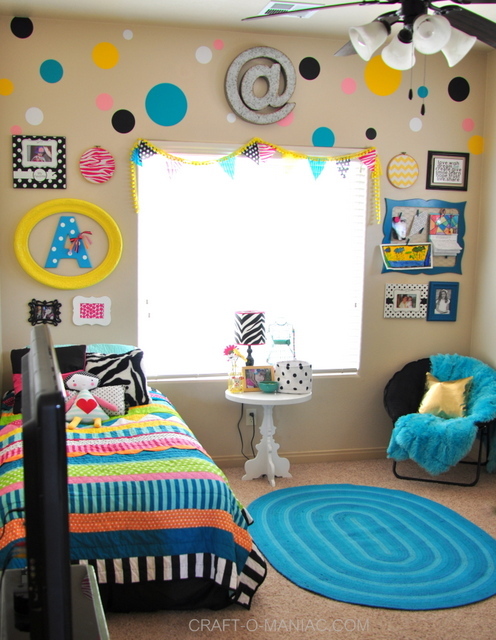 She loves her room (especially the vanity) her chair or rug for reading her favorite books, a TV at the foot of her bed for watching “Full House re-runs” a wire picture art holder to hang some of her favorite things/art, and a comfy bed to get her beauty sleep. There it is! 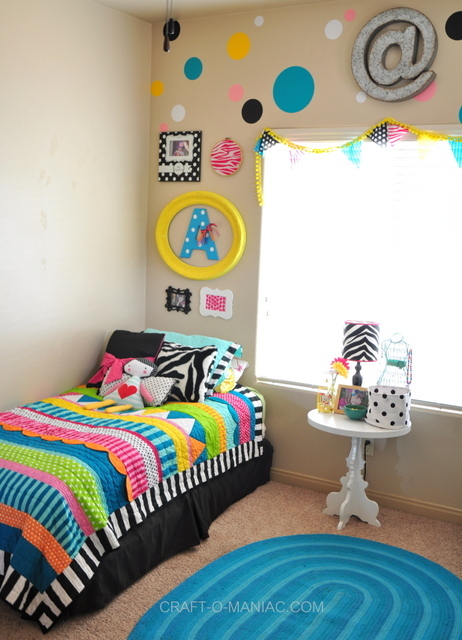 a fun, colorful , happy, and full of life girls bedroom. P.S. 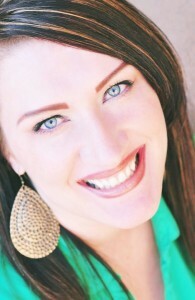 sorry, I know there are a lot of pictures in this post, GAH- I just liked to many HA! 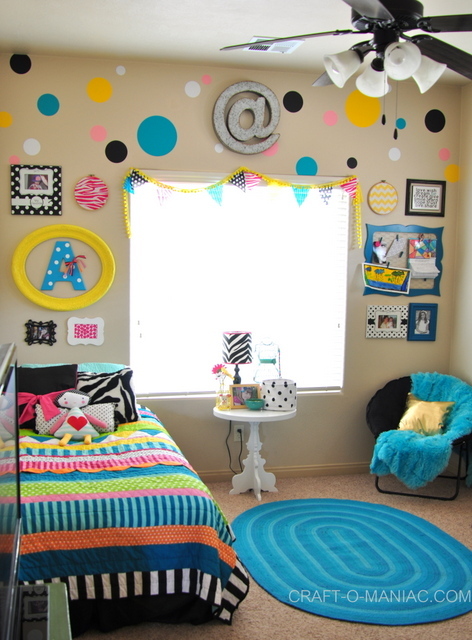 Thank you all so much for stopping in today, I hope this space inspires you when it comes to planning and decorating your daughter(s) room. 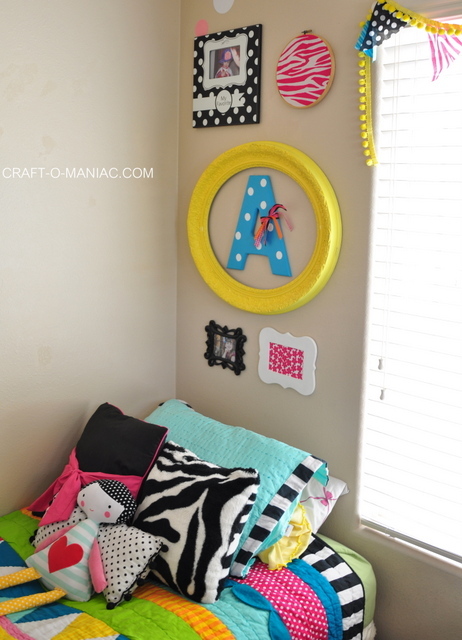 I have to say that using vinyl decals and creating gallery walls is easy and great to do in bedrooms when you rent. 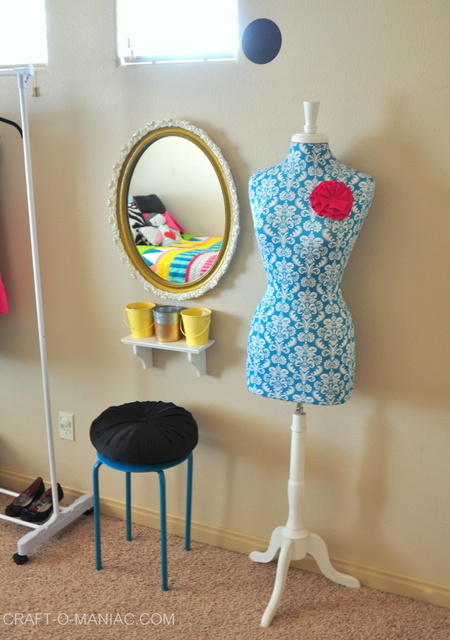 There isn’t a whole lot of major DIY projects you can do when you rent, so I have to come up with pretty simple but still cute ideas. Please, again if you have any questions leave them in the comments and I will happily reply. 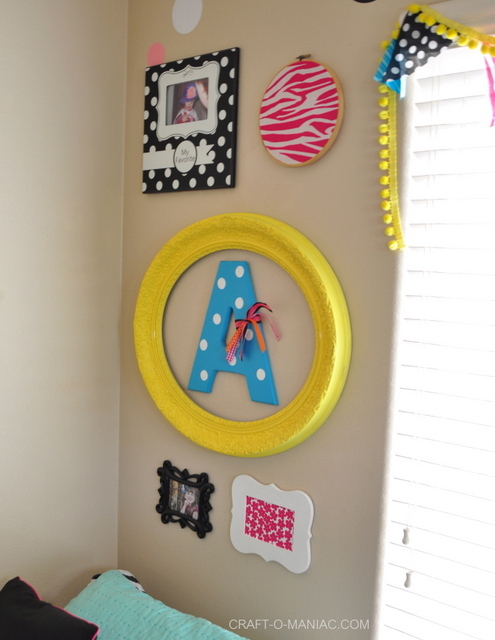 Happy creating and decorating…. HA- it never ends right! Do you know the name brand of that bedding ? No’ sorry. I bought it a long time ago online.